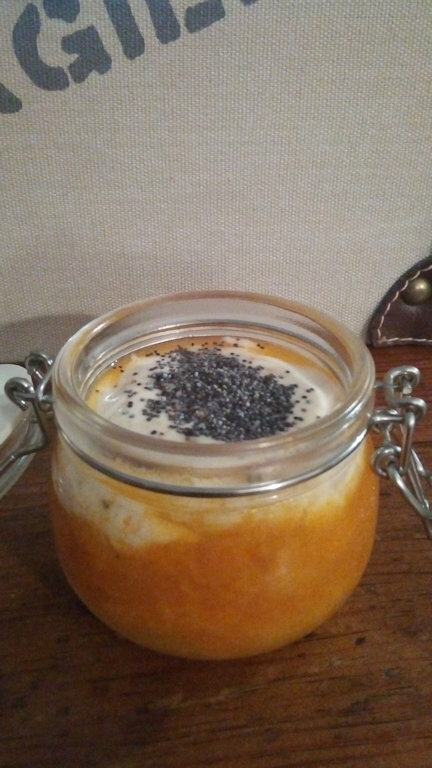 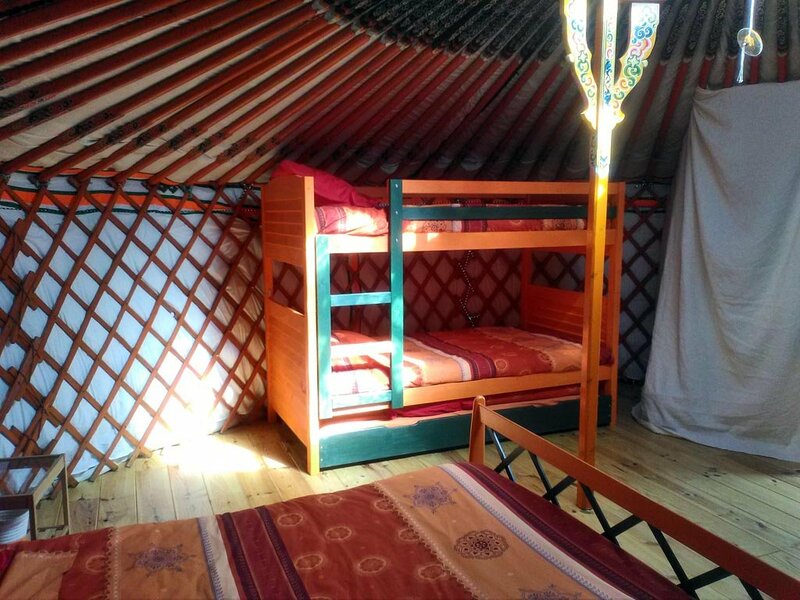 We propose you a unique stay and a return to the essential in love or in family. 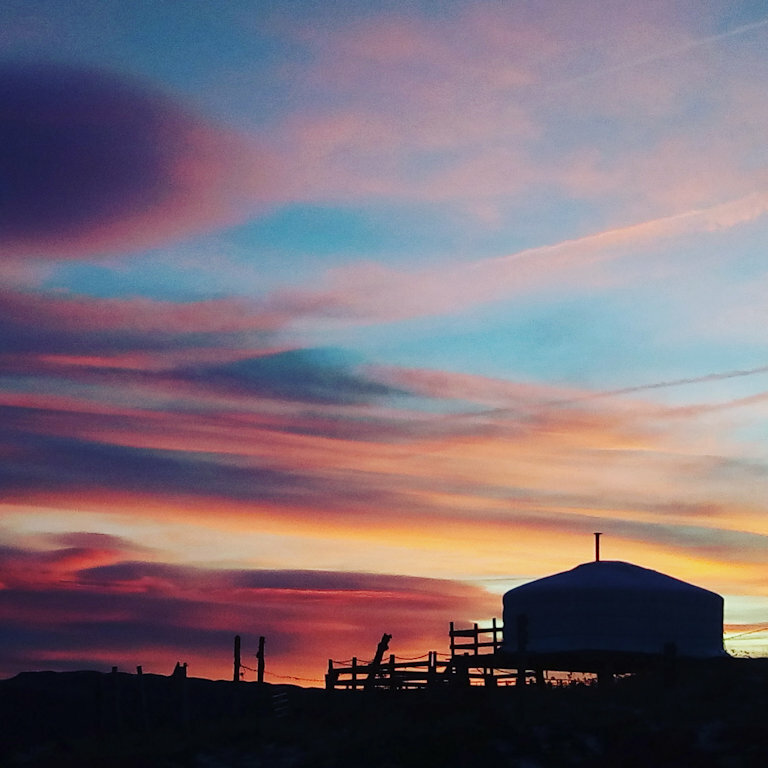 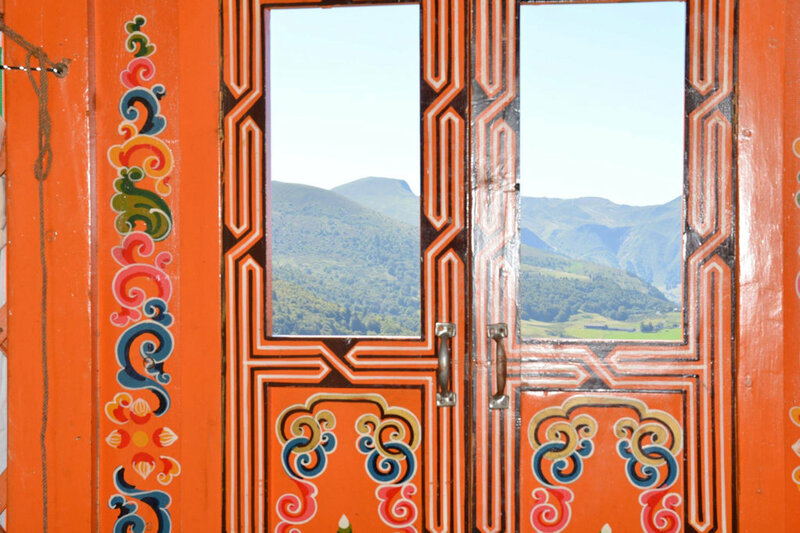 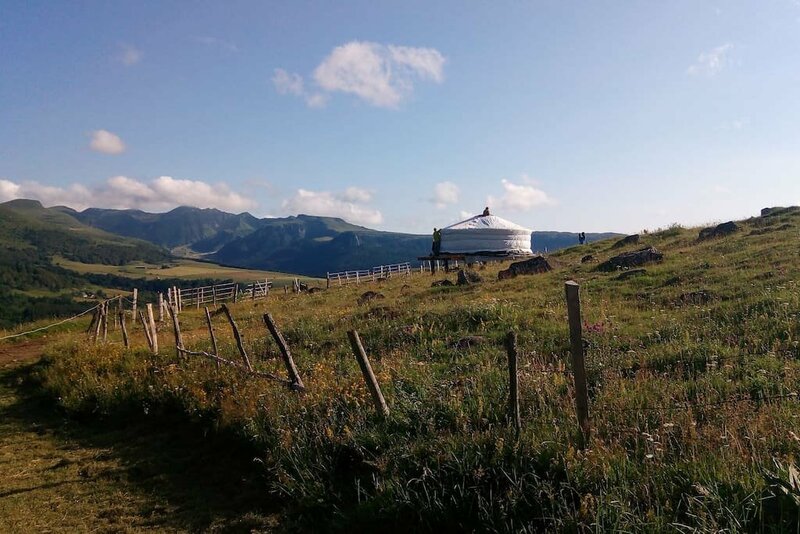 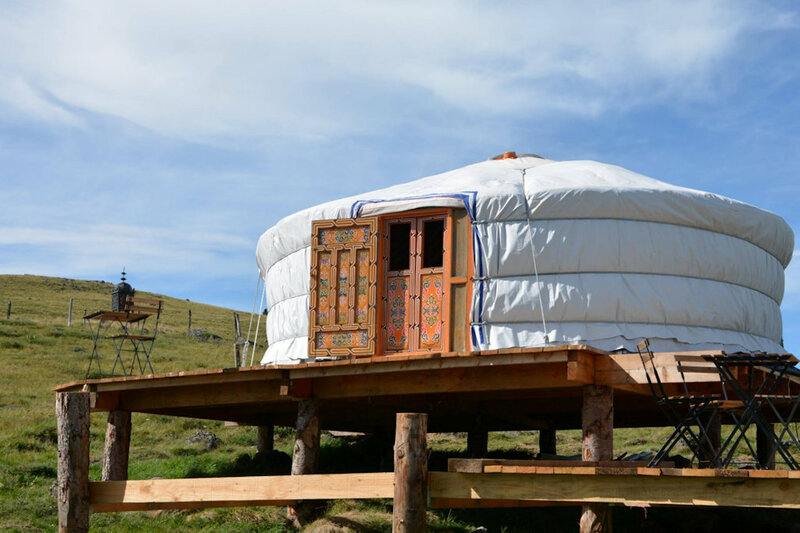 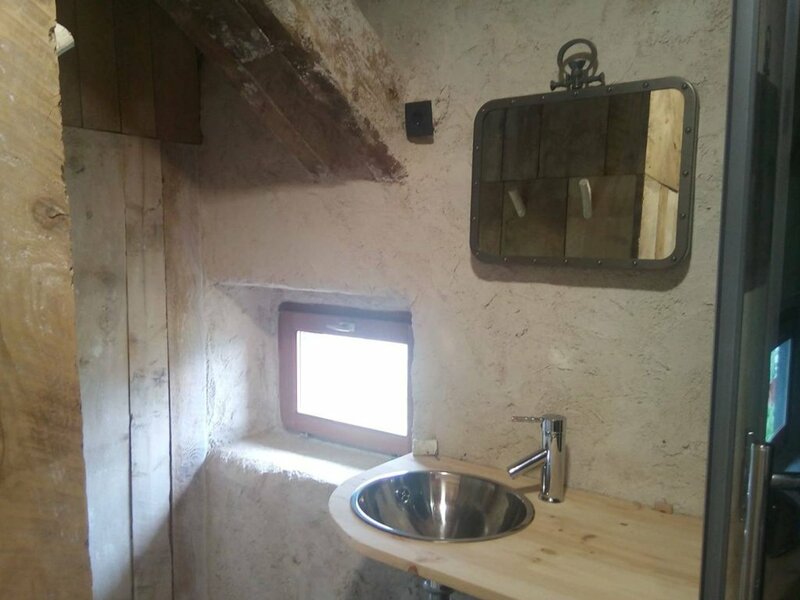 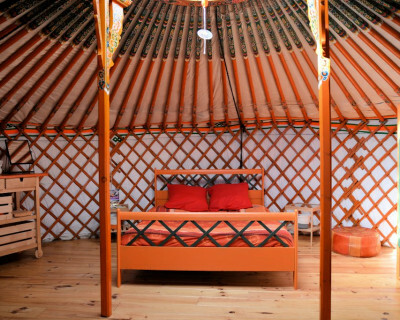 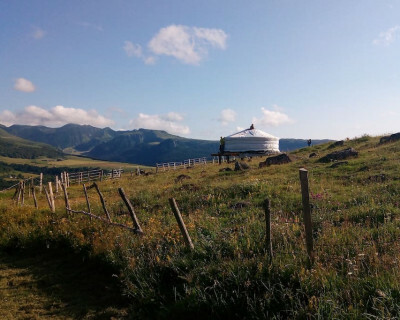 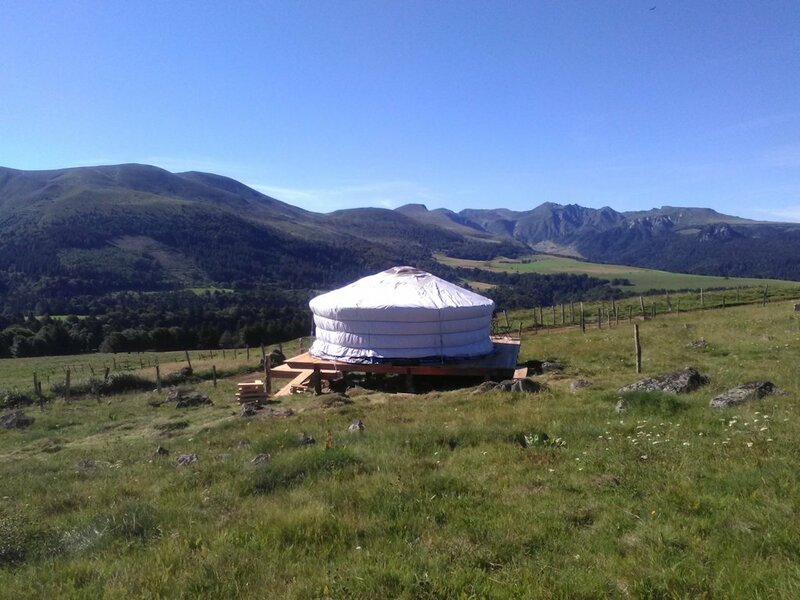 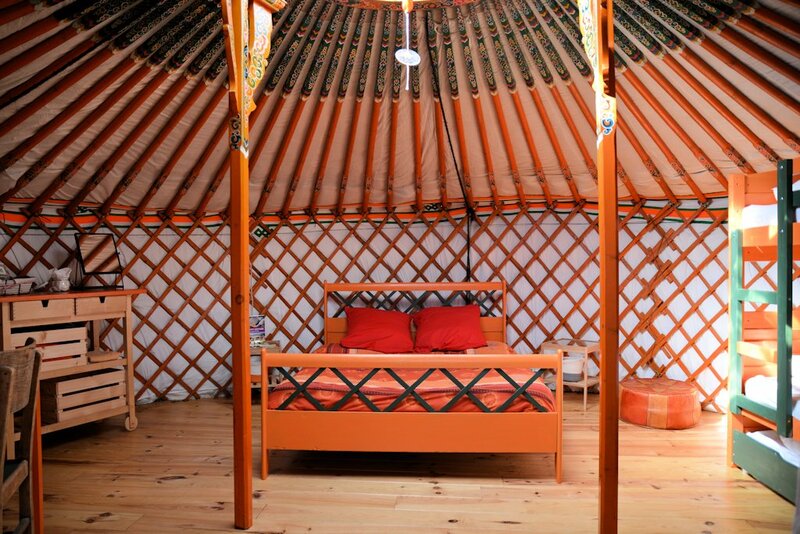 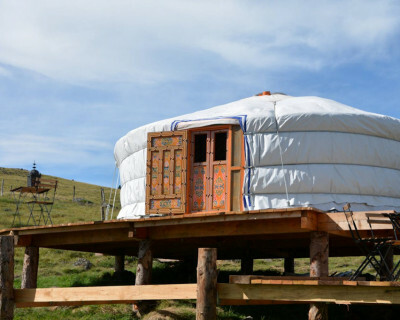 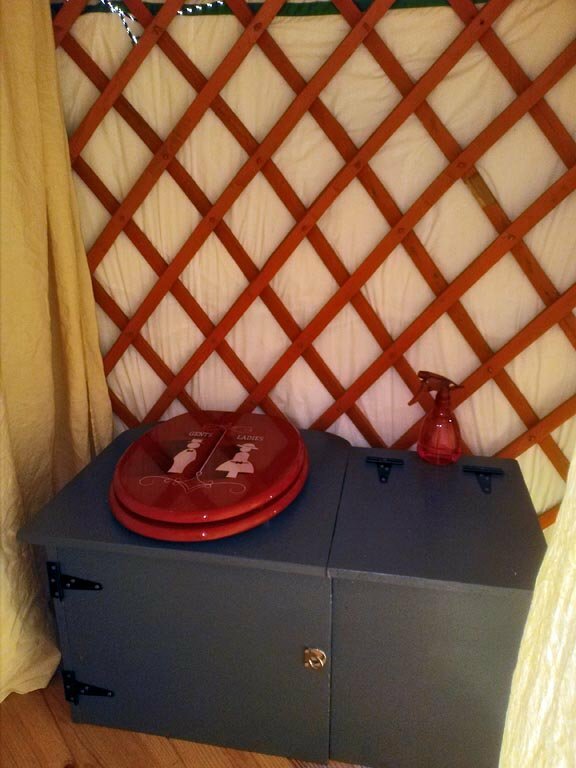 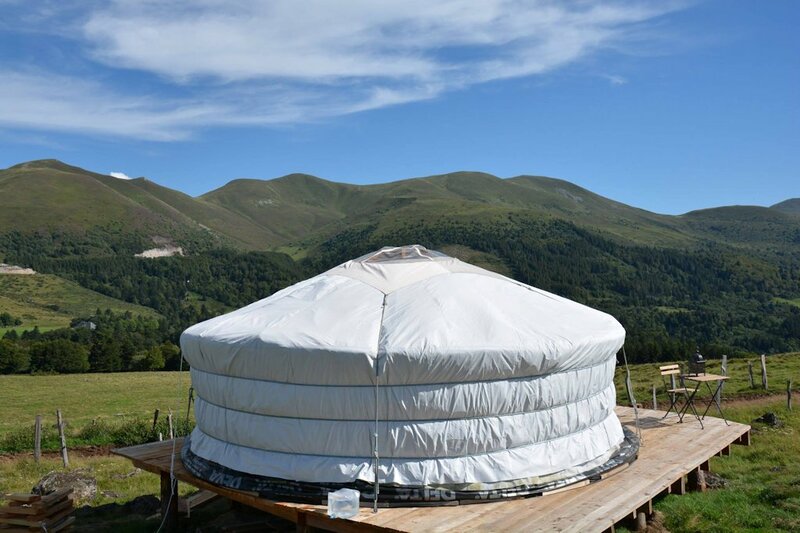 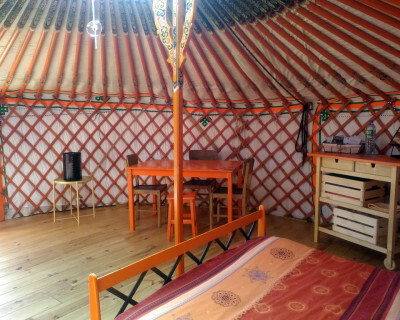 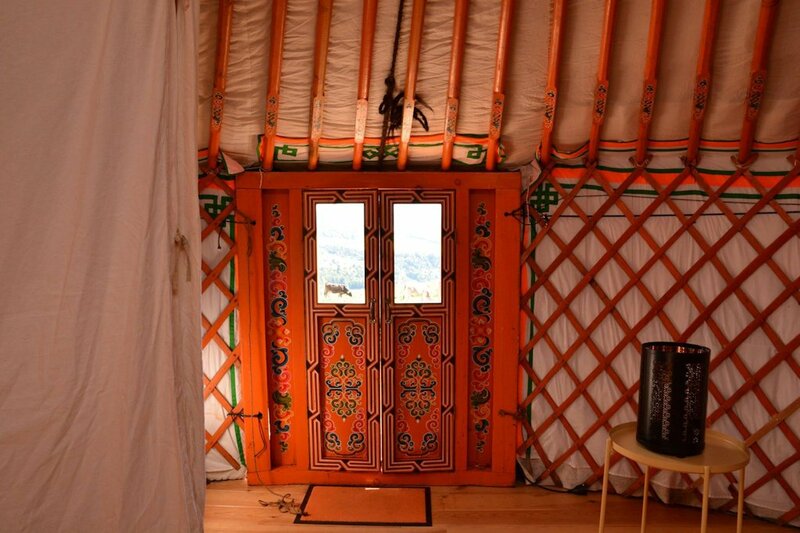 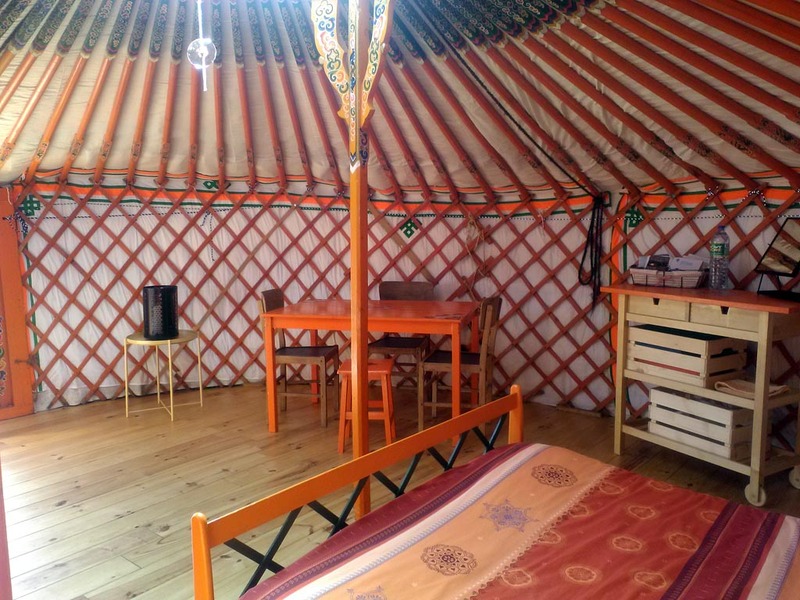 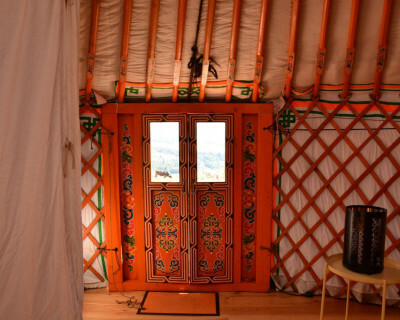 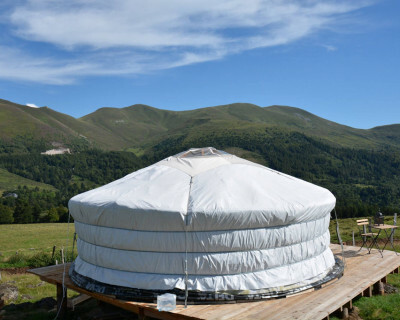 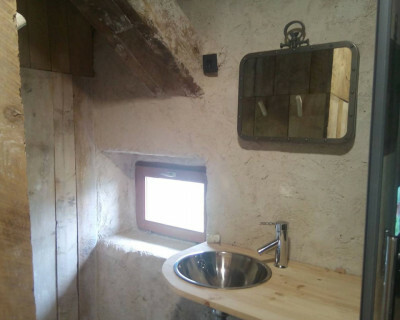 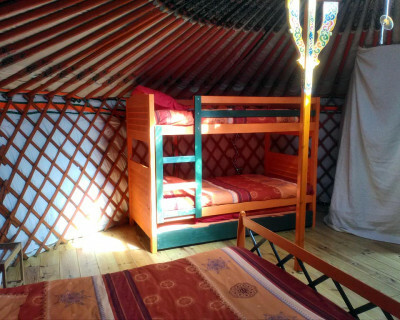 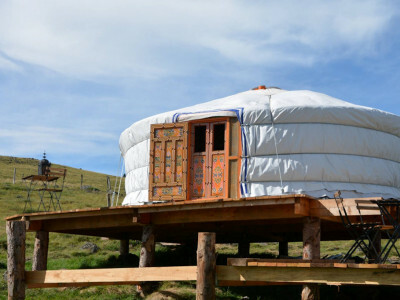 Our yurt is without wifi, without electricity (solar lantern and candles supplied),bathroom in the farm ... but with all the beauty that nature offers us. 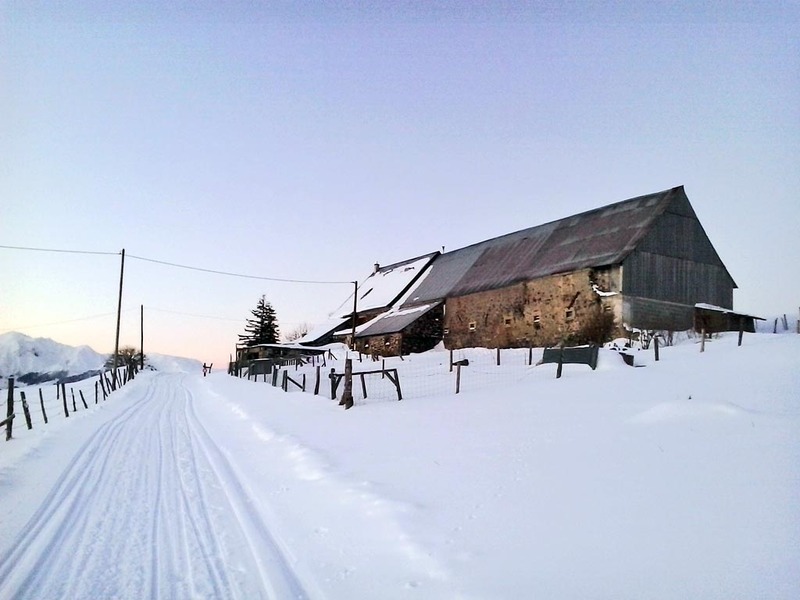 Isolated accommodation 1.5 km from Lake Guéry and the road. 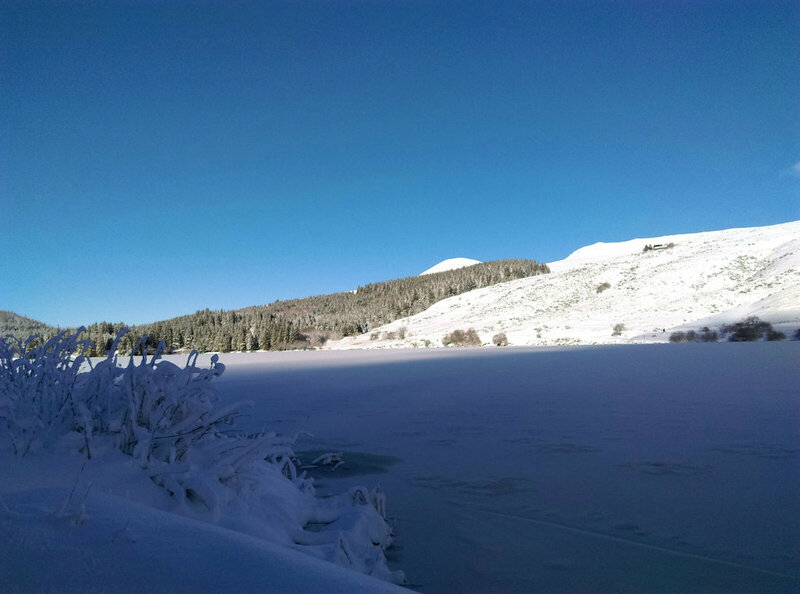 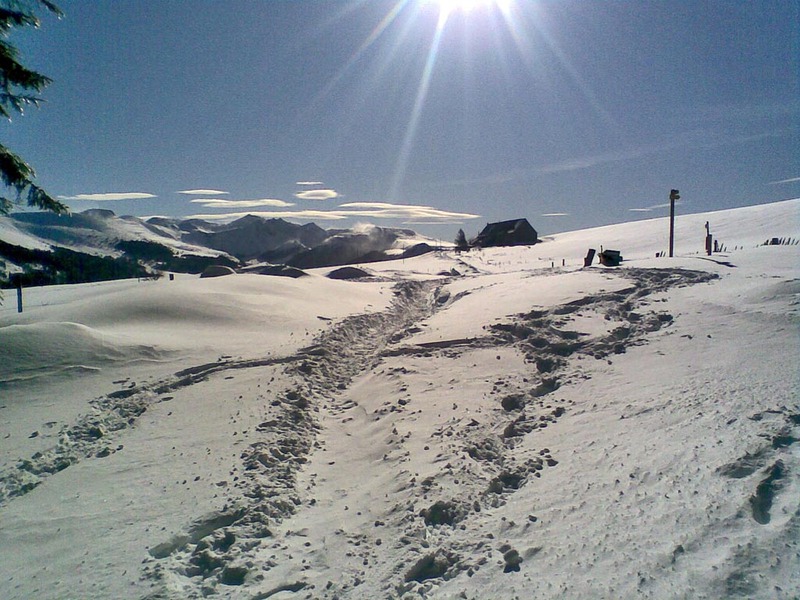 In winter, access is on foot in the snow, snowshoes or sledge for the little ones, 1k500 easy walk to get to our snowy mountain corner. 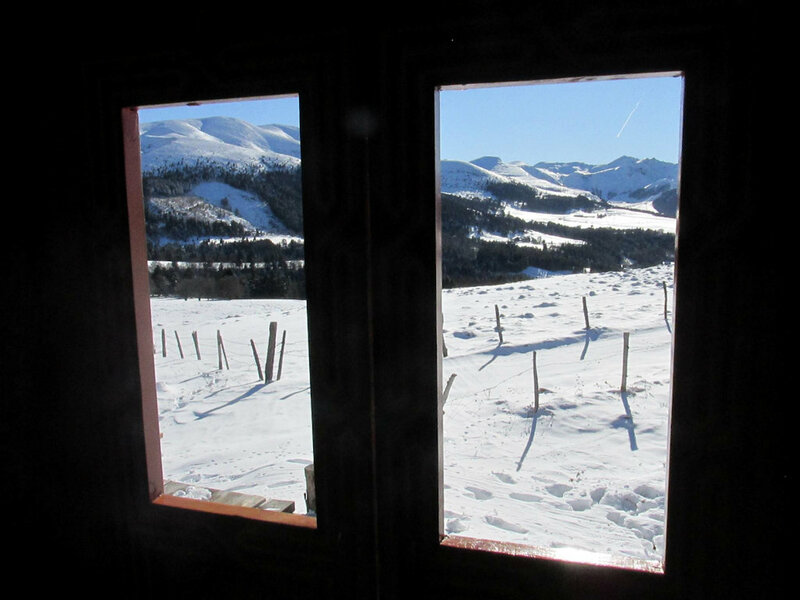 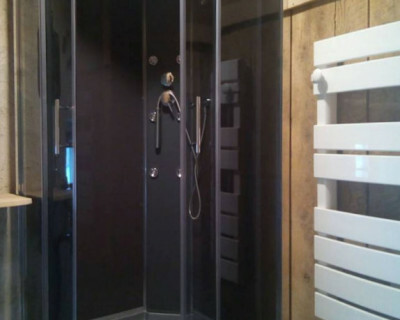 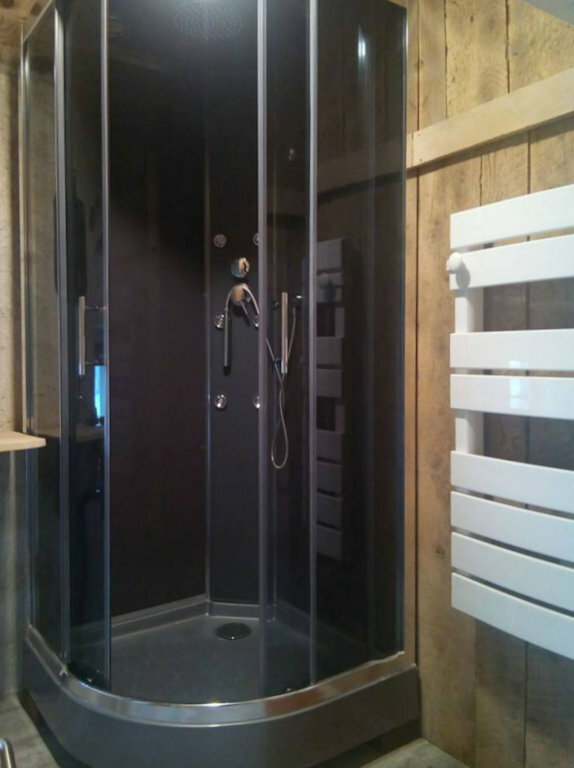 Direct access to the cross-country ski trails and snowshoes of the Nordic area of ​​Guery. 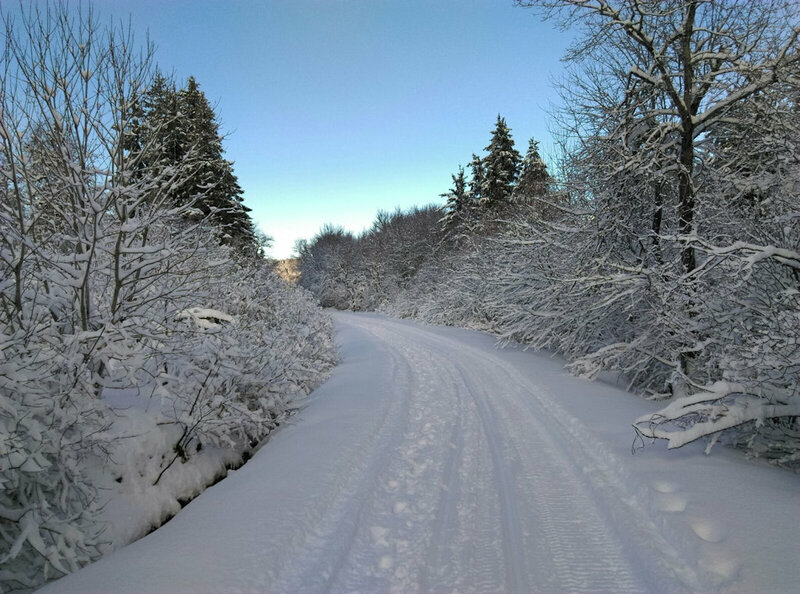 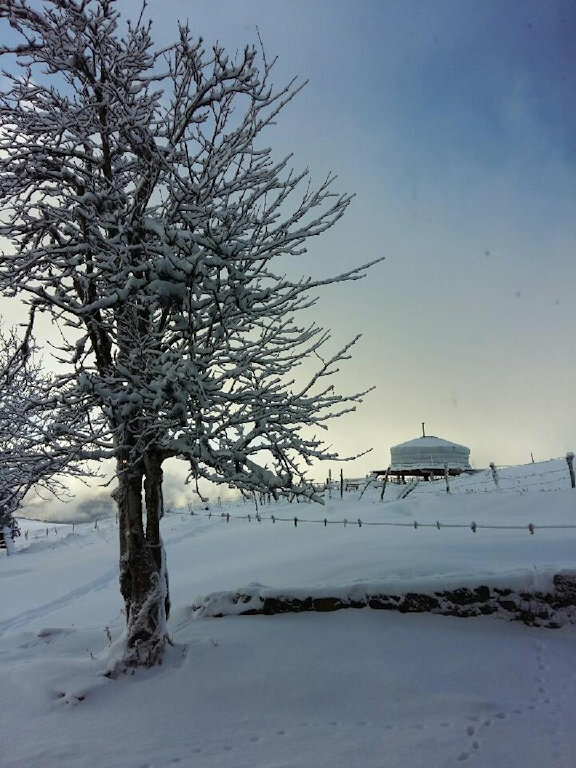 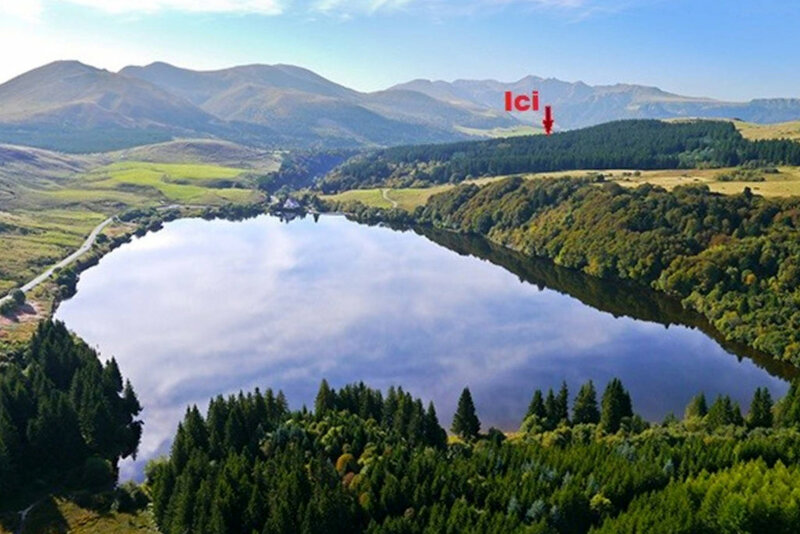 10km from the Sancy downhill ski resort. 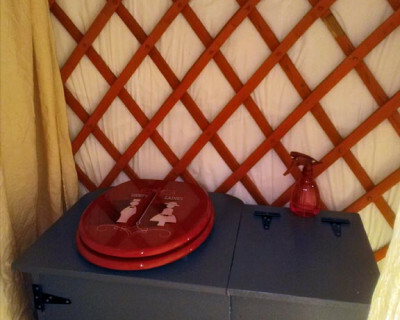 Hot mealbars for organic and vegetarian dinner at extra charge. 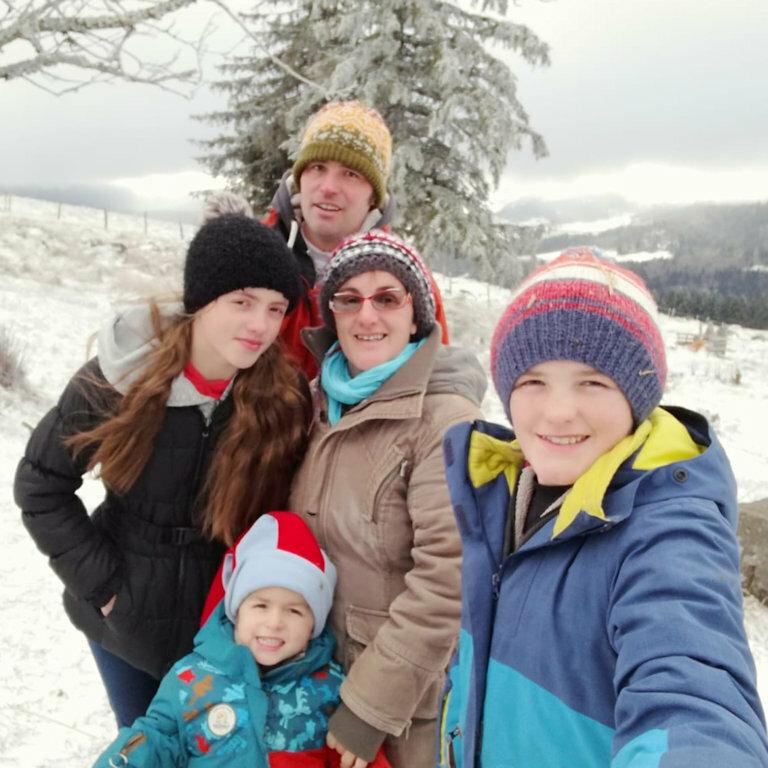 Nearby, our isolated farm where our family lives year-round at 1300m altitude: Emeline and Cédrick, Pierig (12 years), Eireann (10 years), Jaouen (3 years), our animals. 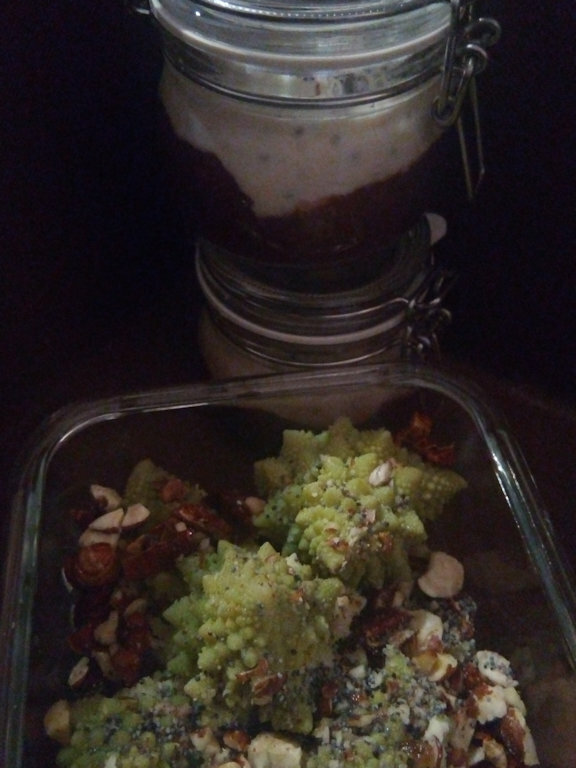 Hot lunch basket for organic and vegetarian dinner to order the day before. 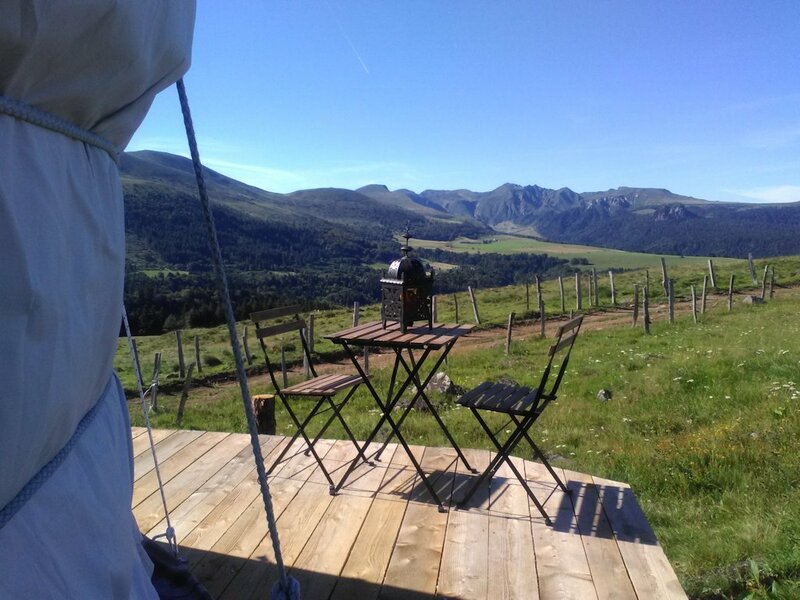 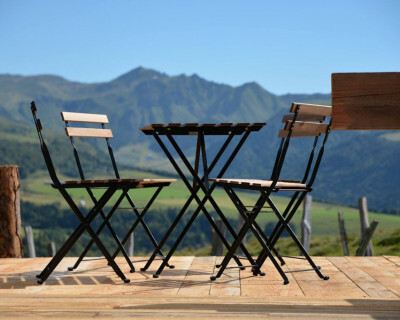 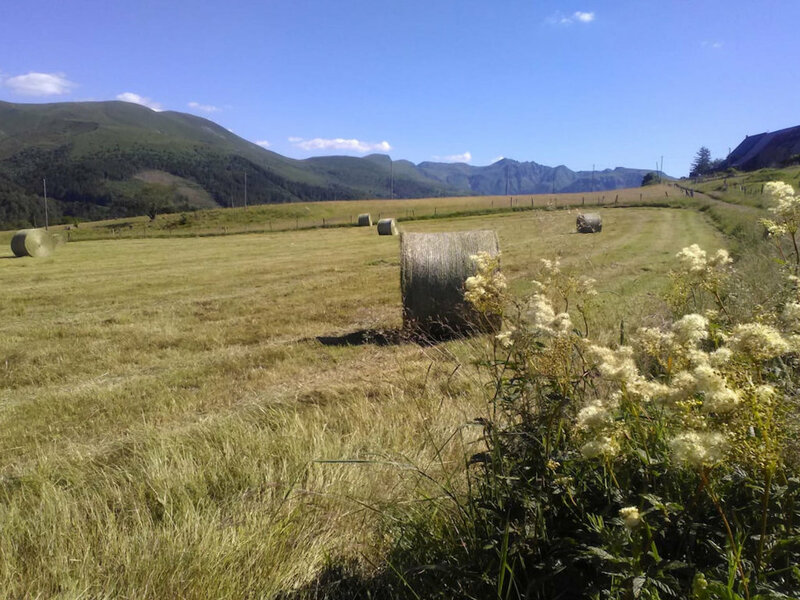 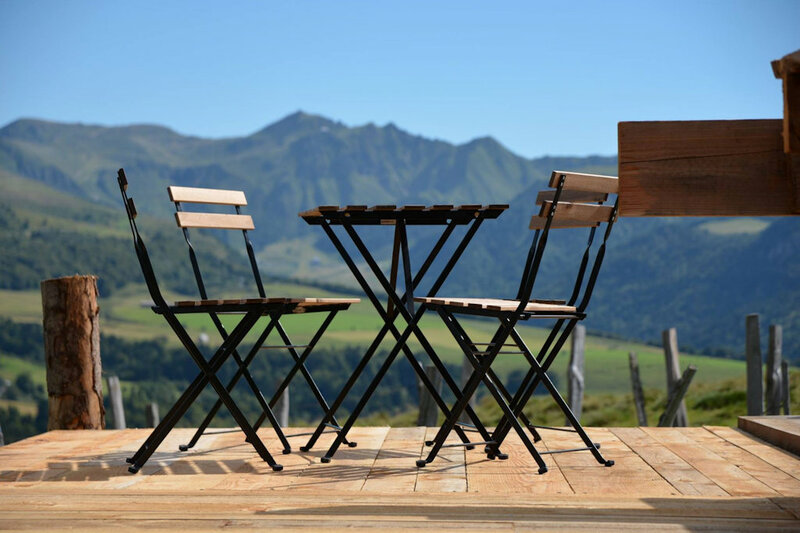 "Super nuit au coeur du Sancy!" 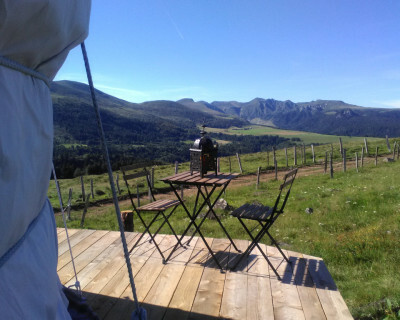 Merci à vous et à bientôt avec le soleil et la vue!